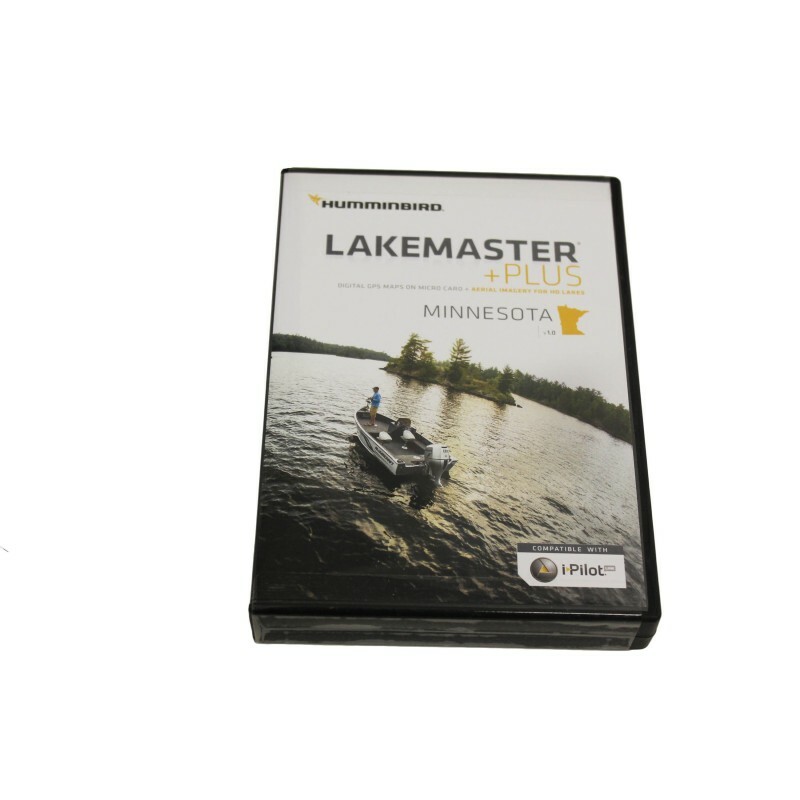 Humminbird LakeMaster PLUS digital GPS map card series is a family of map cards that parallels the standard Humminbird LakeMaster editions. Coverage area and lake lists remain the same and both are compatible with most Humminbird GPS models including the Onix and Ion units. PLUS has all of the features you've come to love from LakeMaster but now allows for aerial image overlay on high definition waters. Now you have the ability to use quality aerial photography to view the entry and exits of creek channels see how far a reef or weed line extends pick out shallow water rock piles steep drop-off's and other features of the lake you've been missing from traditional maps. LakeMaster PLUS gives you the freedom to choose how you want to use the aerial imagery. The Satellite - Only: This layer shows only aerial imagery and no other map information. The Satellite - Land: This layer shows the LakeMaster map and the aerial imagery that extends around the body of water. The Satellite + Contours: This layer shows the aerial imagery and just the LakeMaster contours so you can still pick out those features in the water while still seeing your depth.